Food from Friends is a project dedicated to the joy of cooking and savoring in company. From time to time I get to visit people I appreciate or strangers I want to get to know and together we prepare their favourite dish. You can see the result of our efforts in the form of a little story with a recipe here on Purple Avocado. 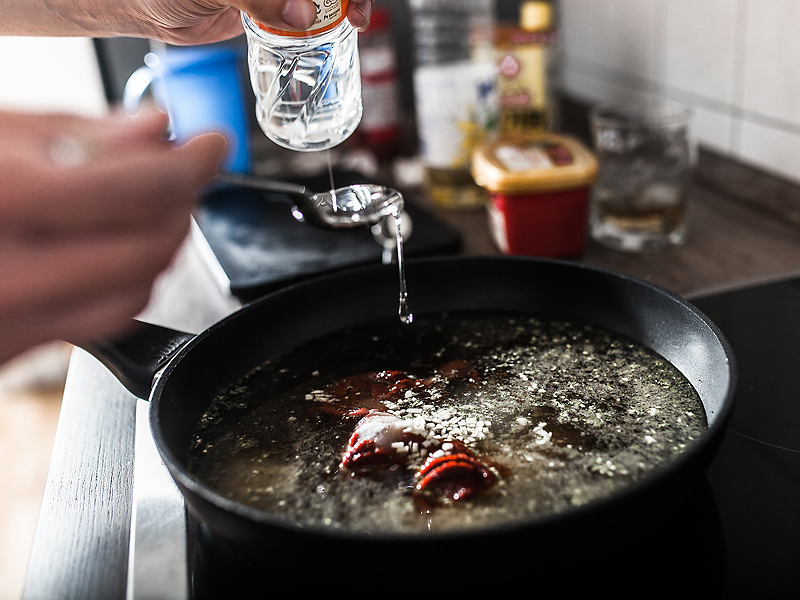 From cooking with others you can learn a lot, broaden your mind and find new inspiration for your own cooking routine. Apart from that it’s one of the best ways to socialise and get to know each other – even for the socially awkward amongst us. You can also find out a lot about a persons character and lifestyle by observing their style of cooking. Just show me how you cook and I tell you who you are. If you like this project and would like to invite me to your place and show me some mad sushi rolling skills or how to make the fluffiest pancakes ever, how to perfectly fillet a fish or what the secret ingredient of your veggie casserole is then feel free to shoot me a message at mail@sabrinadietz.com. Doesn’t matter where you’re from, I’d love to get to know all you interested, passionate people! My first encounter for Food from Friends lead me to Dennis from Bochum. 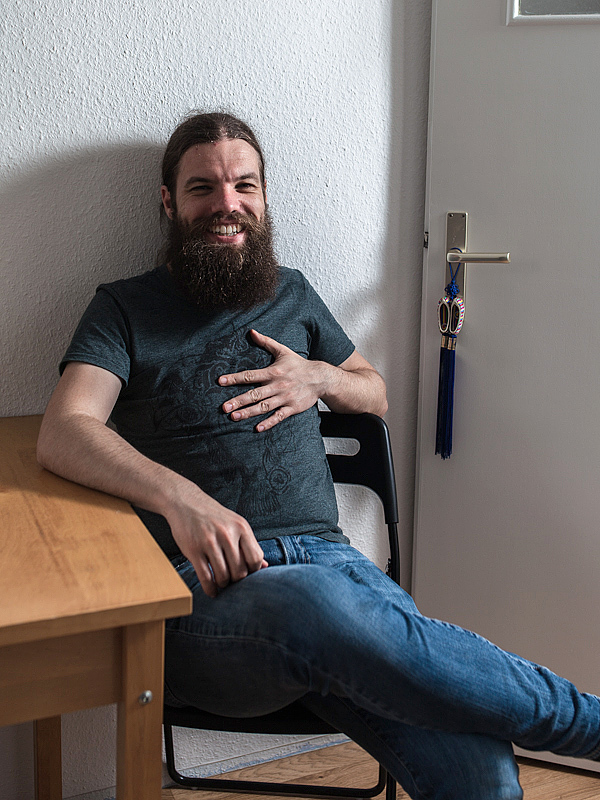 We were actually cooking in Essen at his girlfriend’s place, a lovely and cute woman who doesn’t want to be presented on the internet, so the only thing you’ll be able to grasp of her is her choice of nail polish if you look closely 😉 Instead “Mäuschen” was rather interested in my camera. Dennis is vegan and a lover of korean food, which was fine for me. I appreciate the vegan cuisine a lot, as you might notice from looking through my recipes and I haven’t cooked korean so far. This is exactly what I anticipated from this project. Get to know new cuisines and ingredients that one can adapt to his or her own style. Fresh spinach can be amazing in so many different ways. This recipe has a totally different approach than the ones I linked you. I was pretty pleased with the taste and made that same spinach salad for my parents the next time I visited them. I’m sure they’ll be happy to see that the recipe is finally online. 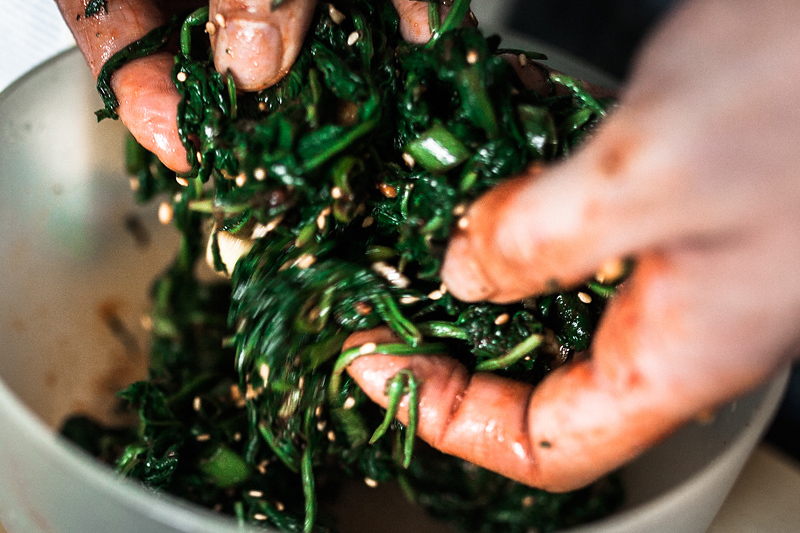 Korean spinach salad can be eaten warm or cold and seasoned spicily according to taste. Add the washed spinach and boil it for 30 seconds to one minute. 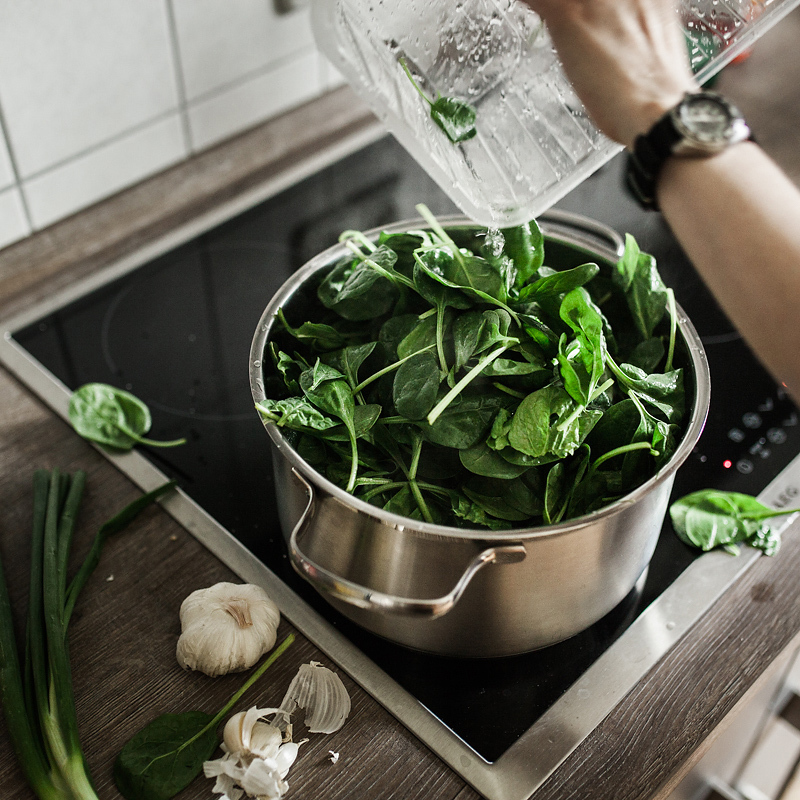 Strain off the water through a sieve and quench the spinach with water until it's cold enough to be processed further. Squeeze the spinach carefully to drain if off the excess water and form little balls. Cut the spinach roughly and add it to a bowl with all the other ingredients. Mix the spinach, minced garlic, spring onion, sesame oil, rice vinegar, sesame and chili paste and flakes, if wanted together with your hands. Form little heaps on a plate and garnish it with sesame. Do you know Mochi, those japanese, sweet rice cakes, made from sticky rice? 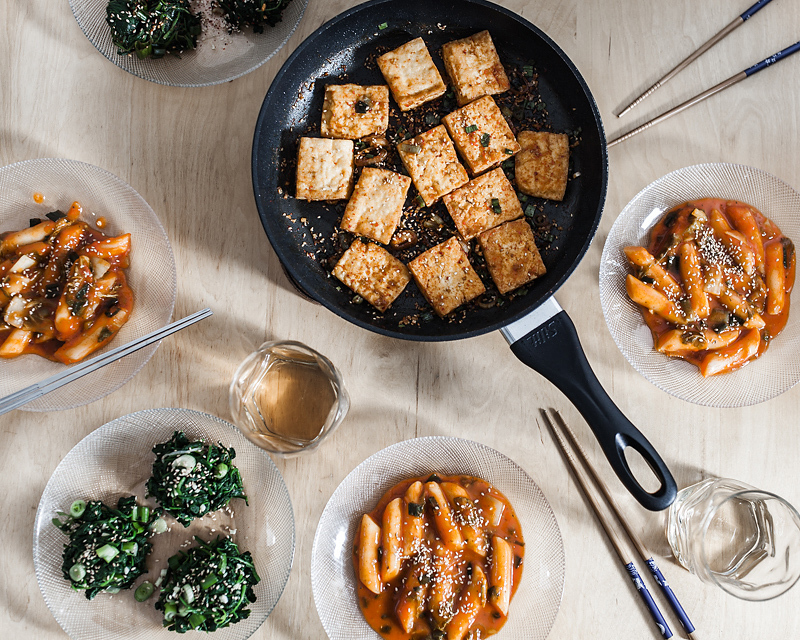 From those rice cakes, Tteokbokki, we made a spicy and filling stir-fry. Even I, who doesn’t like Mochis at all, love this savory version immensely! That’s some korean comfort food, which makes you happy and stuffed and ready to fall onto the couch afterwards. 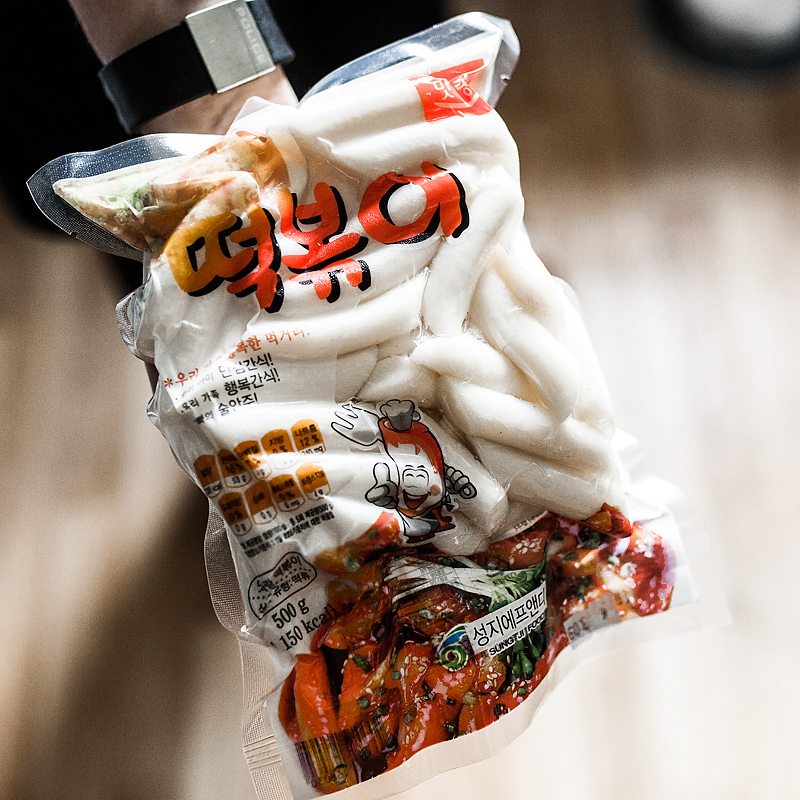 A savory and spicy Korean dish made from rice cakes (Tteokbokki). Vegan and very stuffing. Slice the cabbage and the spring onions. Add the broth to a pan and bring it to a boil while adding all the other sauce ingredients - except for the sesame oil and seeds. Stir until the red chili paste has dissolved completely. Now add the rice cakes and let it simmer for 8-10 minutes until they become very soft and the sauce thickened a bit. 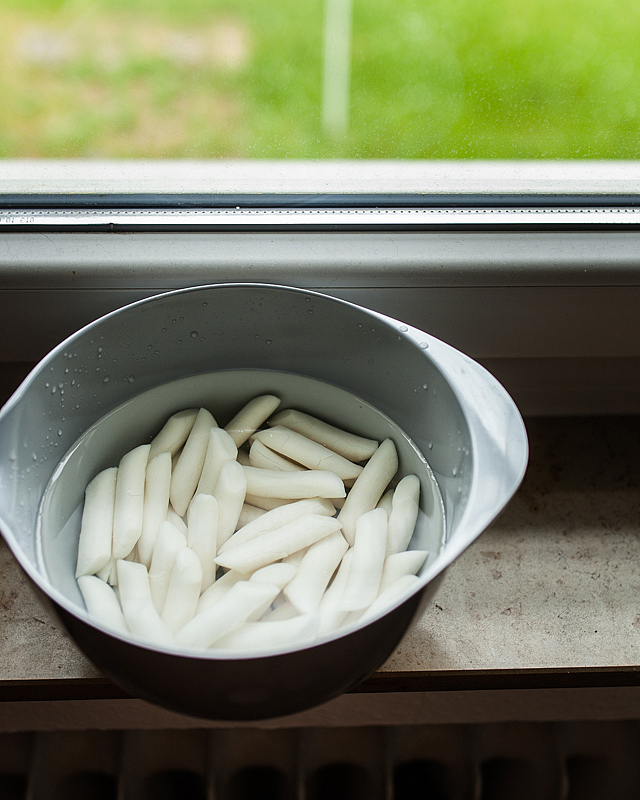 Don't forget to stir to make sure the Tteokbokki don't stick to the pan. 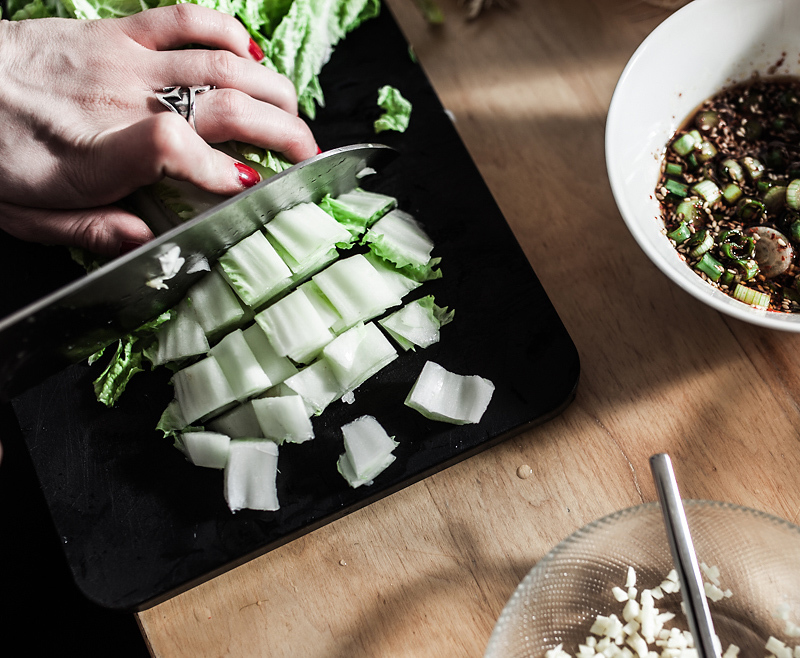 Add the chinese cabbage and let it simmer for another 4-6 minutes, while constantly stirring. Savour it and spice up if necessary. At last add the sesame oil and seeds and turn off the stove. 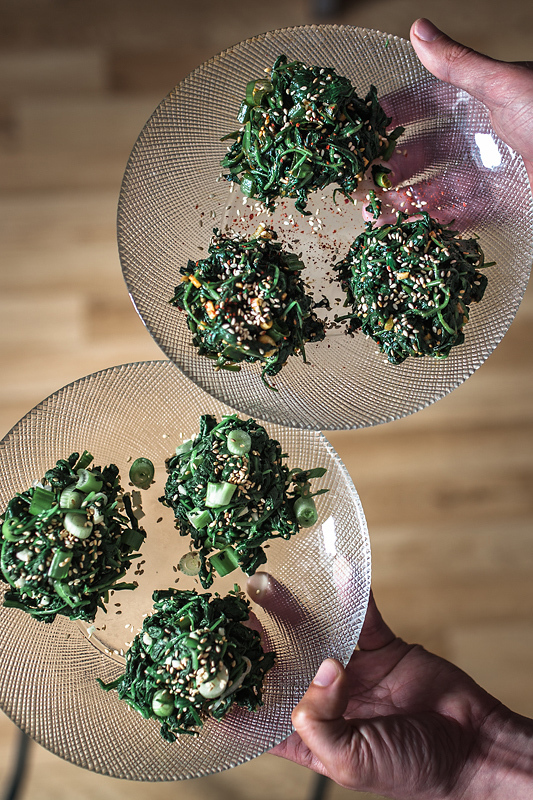 Serve on plates and garnish with some sesame. Until recently I was an enthusiastic supporter of smoked tofu for any purpose. I fried it in the pan or added it raw to my salads. Smoked tofu was my fool-proof solution for delicious, not tasteless tofu. I simply couldn’t handle fresh tofu. It always tasted like nothing. This has changed since Dennis showed me the simple process of making tofu ultra crispy but juicy on the inside. 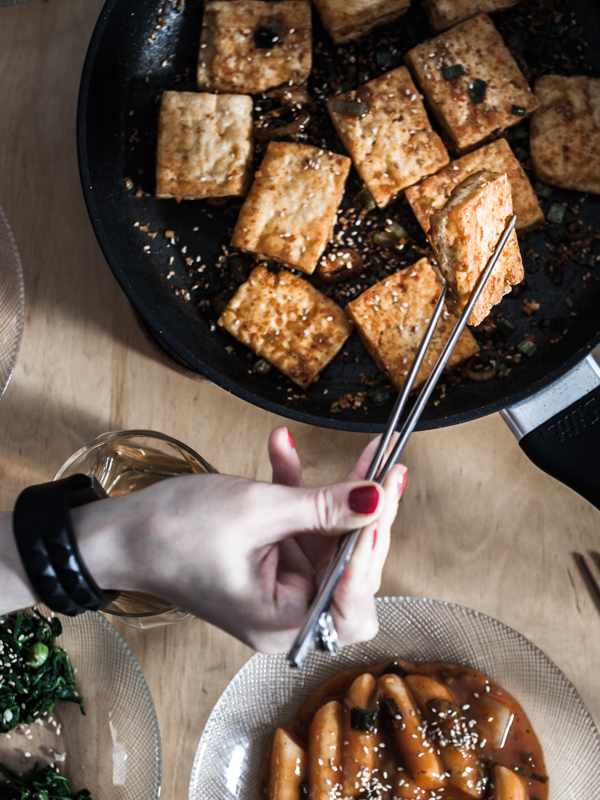 How to make crispy tofu that's soft and juicy on the inside. Cover a cutting board with paper towels and place the tofu slices next to each other on that towel. 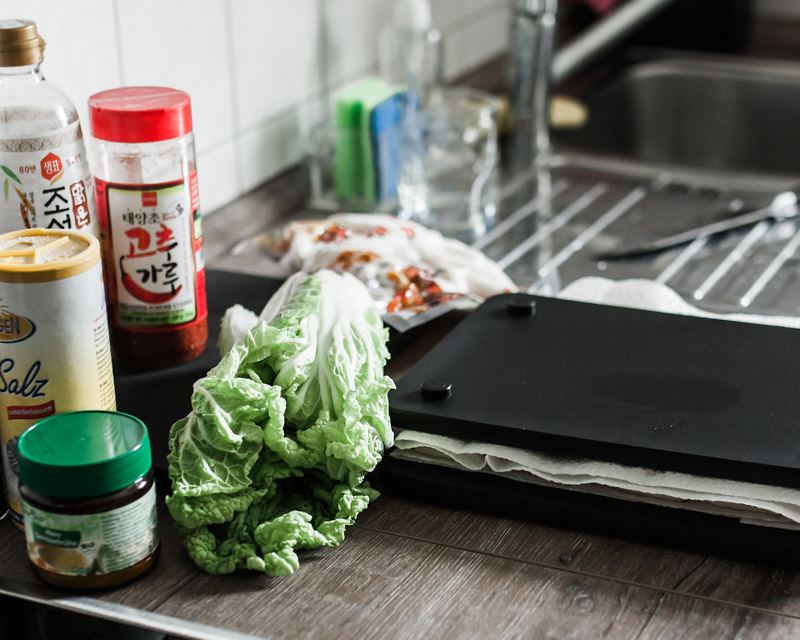 Add another layer of paper towels and another cutting board and put a bottle of water or another weight on top of it. In order to make the tofu nice and crispy, it should be drained of all the excess water. This is one good way to achieve this. 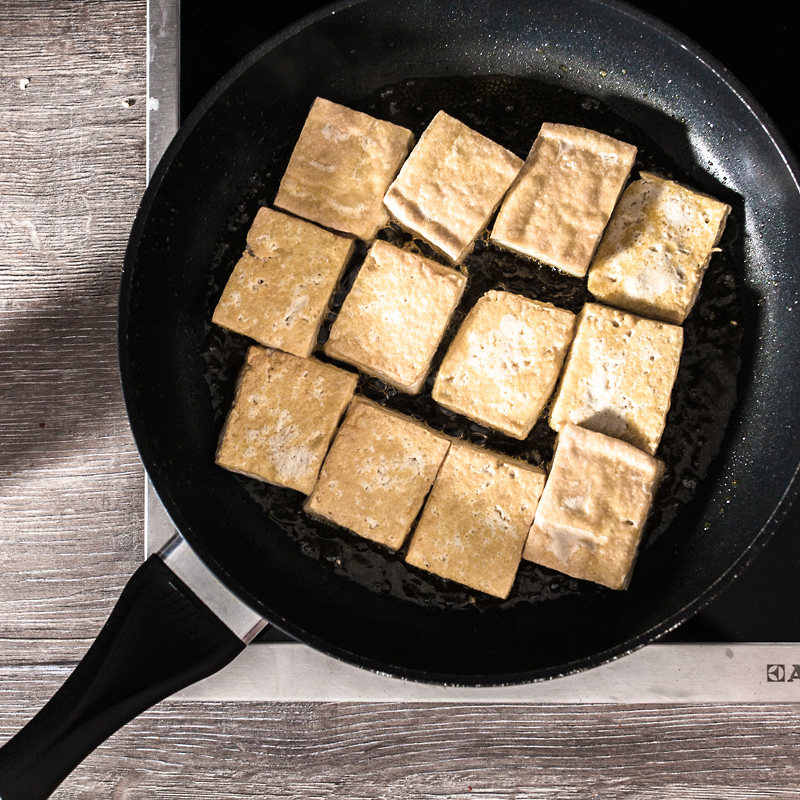 Bake the tofu thorougly in hot oil from both sides. Turn the heat down afterwards and add the marinade (careful, as sesame oil is very sensitive to heat). On medium heat let it all boil down to thicken and serve immediately. After this great dinner none of us felt like moving anymore. It was raining anyway – perfect for a day on the couch with a cup of tea. I’m really happy that I had such a great start for this project and I can’t wait to continue with it. 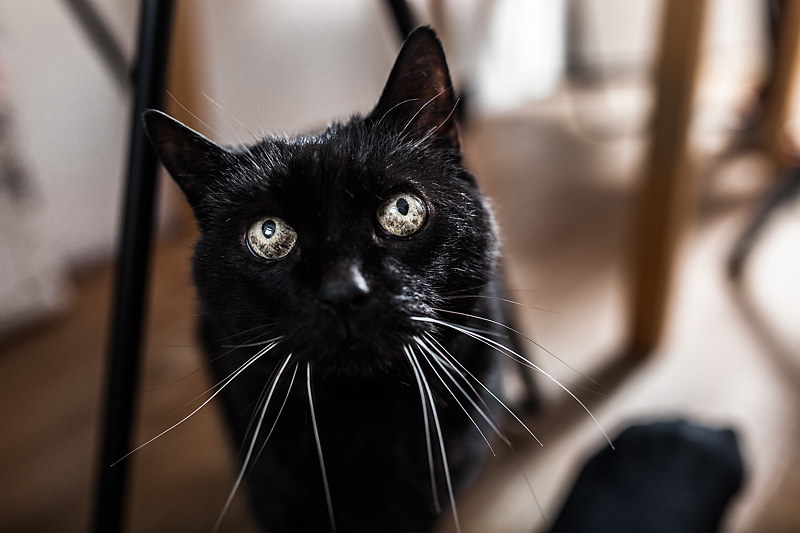 Stay tuned for part 2 – next time we’re going to visit Mimi und Rose. I am going to check if Food for Friends is also in France….! Great project and beautifull photos! Have a nice day..